Fit Life is one-on-one and small group training when and where it fits your life! Can’t make it to the gym, but still want professional, affordable, and qualified trainers? We will come to you! Or would you prefer to come to a studio? We offer in-studio 1:1 training and small group fitness sessions fully customized and tailored to your specific needs and ability. Fit Life also offers a very special and unique program called Run Life. 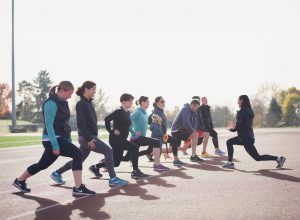 This is a fully-customized run training program to help you learn the basic of running or help you advance in your running goals! Individual and small group sessions are available. Fit Life and Run Life are perfect for people of ALL fitness levels! We are certified trainers with several specialty certifications, so you can assure you are in safe and qualified hands. We challenge you to Find Your Fit.